With the first elements of 30,000 additional US troops set to arrive in Afghanistan next week, the massacre of as many as 15 civilians in a US raid has heightened fears that the Obama administration’s so-called surge will spell a dramatic rise in bloodletting. The killings took place in eastern Laghman province in the early hours of Tuesday morning. Gulzar Sangarwal, the acting head of the provincial council, reported that 13 civilians were killed in the raid on the village of Armul, including one woman. Local villagers reported 15 killed, including children. Reuters news agency said its correspondent had seen the bodies of a woman and 12 men, several of them teenagers. 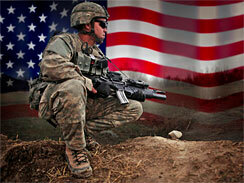 Local authorities have blamed the killings on US Special Forces troops. The deaths triggered an angry protest that ended in still more killings. According to Reuters, some 5,000 villagers marched on the provincial capital of Mehtar Lam chanting slogans denouncing the US occupation, the puppet government of President Hamid Karzai and the provincial authorities. The crowd shouted “Death to America, Death to Obama and Death to Karzai” as they marched through the town. The villagers carried the bodies of the civilians slain in the US raid, laying them in front of the provincial governor’s house. Soldiers from the Afghan National Army opened fire with live ammunition in an attempt to disperse the crowd, reportedly killing two demonstrators outright and mortally wounding two others, who died in the local hospital. Outrage over the killings spread to the neighboring province of Nangarhar, on the border with Pakistan. Pajhwok Afghan News reported that 3,000 students from Nangahar University occupied the main highway linking Kabul and the provincial capital of Jalalabad for hours on Wednesday, chanting slogans denouncing the US-led occupation and the Karzai regime and burning American flags. A US military column attempting to move down the highway was forced to turn back to Jalalabad. The massacre and mass protests in Afghanistan have taken place as 1,500 Marines from Camp Lejeune, North Carolina, prepare to deploy in southern Afghanistan next week. They will be followed by another 6,200 Marines and 3,400 soldiers from the 10th Mountain Division based at Fort Drum, New York, who will be deployed by early next spring as the Pentagon implements President Barack Obama’s decision to increase US occupation forces to roughly 100,000. These troops are being sent in to suppress not only the armed resistance but the increasingly evident mass opposition to the eight-year-old US occupation. Every operation, like the one in Laghman, further inflames this opposition and strengthens the insurgency. In a continuation of the round of hearings on the escalation begun Tuesday by the top US commander in Afghanistan, Gen. Stanley McChrystal, and the US ambassador in the country, Gen. Karl Eikenberry (ret. ), before the Senate and House armed services panels, Central Command chief Gen. David Petraeus testified Wednesday before the Senate Foreign Relations Committee. An indication of just how slow came the day before in a joint press conference by Afghan President Hamid Karzai and US Defense Secretary Robert Gates in Kabul. Karzai stated that it would be 15 to 20 years before Afghanistan would be able to sustain its own security forces. For his part, Gates pledged that “our government will not again turn our back on this country or the region,” referring to the US abandonment of Afghanistan after spending billions of dollars to foment a Islamist guerrilla war against the Soviet-backed government in Kabul beginning in the late 1970s. As deputy director of the CIA, Gates was deeply involved in that operation, which ushered in three decades of war, costing well over a million Afghan lives. “We will fight by your side until Afghan forces are large enough and strong enough to secure the nation on their own,” Gates continued. The defense secretary went on to debunk Obama’s pledge to begin withdrawing US forces in July 2011, saying that any drawdown of troops would be “gradual” and “conditions-based.” Whether such a withdrawal will take “three years or two years or four years remains to be seen,” he said. Clearly, Washington’s intention is to turn Afghanistan into a permanent base for the American military from which it can project its influence over oil-rich Central Asia and the energy pipeline routes out of the Caspian Basin. This, not the propaganda about Al Qaeda terrorism, is the driving force behind the US intervention. The real scope of this military adventure was hinted at in an “after-action report” [PDF] prepared at West Point by Gen. Barry McCaffrey (ret. ), who was invited to Afghanistan last month by General Petraeus to conduct a strategic assessment and spoke to scores of US military commanders and civilian officials. McCaffrey—who supports the escalation—suggested that the US military faced a prolonged battle. “It may well cost us an additional $300 billion and we are likely to suffer thousands more US casualties,” he warned. Next spring, when the US forces and the Taliban are both expected to launch military offensives, “We may well encounter ISAF [International Security Assistance Force] casualty rates of 300-500 a month,” McCaffrey predicted. McCaffrey gave no estimate on the number of Afghans who will be killed or wounded in the coming months, but clearly if this level of US casualties is anticipated, they will number many thousands. The threat of increased death and destruction does not stop at the Afghan border. What has emerged clearly from the congressional hearings on the US escalation is that Washington is preparing to increase its military operations—through both drone missile attacks and cross-border raids by ground troops—against Pakistan. Bipartisan support for such operations was in evidence at Wednesday’s Senate Foreign Relations Committee hearing. “The risk is that we will expend tens of billions of dollars fighting in a strategically less important Afghanistan, while Taliban and Al Qaeda leaders become increasingly secure in Pakistan,” said Lugar.